This is my first watch face for samsung gear s3. One is for battery that shows with small hand. Second left is minutes for stopwatch. Third bottom is the seconds that displays normal seconds. Press on botton second hand for stopwatch start. 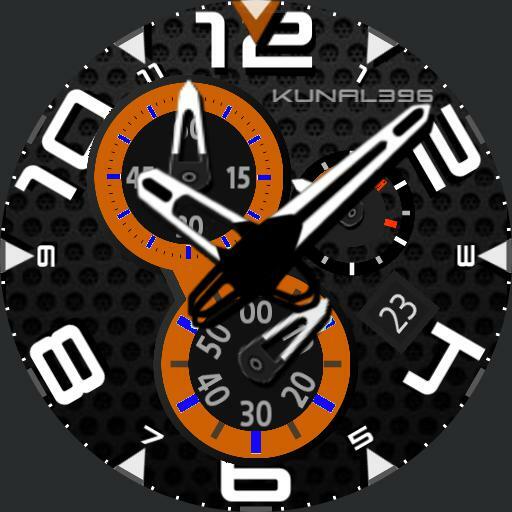 At the top of the face small Triangle displays the running seconds for stipwatch. To pause or start stopwatch press on bottom second hand and for reset press on left side small minute hand. To change the color press on the right side battery meter hand.